on request we make free visits to the processing of ceramics, terracotta. Workings and decorations made and painted exclusively by hand in our laboratory of Deruta as from ancient Deruta tradition. The Bettini family has been producing terracotta and majolica for centuries. The craft has been handed down from father to son up to the present day. Our age-old experience has always enabled us to produce a wide range of pottery for gardens, balconies and interior decoration. The warm and refined elegance of our products, which makes them ideal for all places, is the result of carefully chosen clay and skilful craftsmanship. 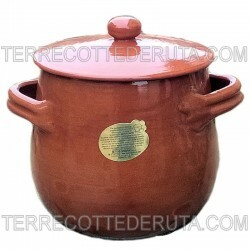 Buy directly online Official Website Deruta Ceramic Majolica Bettini. Guided Visit Workings on customer request Free guided tours the manufacture of ceramics, terracotta Deruta.